Travel to Iona is by two ferries to : mainland to the Isle of Mull (via Oban/Craignure, or Lochaline/Fishnish or Kilchoan/Tobermory) and then from Fionnphort to Iona. The ferry point for Iona is at Fionnphort on the Isle of Mull and is a 4 minute ride across the Sound of Iona. Foot passengers only unless you are a resident on Iona or have a permit to take your car across. Should the ferry be cancelled because of the weather then there are good B&B's in Fionnphort where you can stay where they have free car parking. A Taxi Service is available on the island. From Glasgow take the M8 and then follows signs for the A82. At Tyndrum take the A85 and follow the signs for Oban. It is a 45 minute ferry ride from Oban to Craignure. 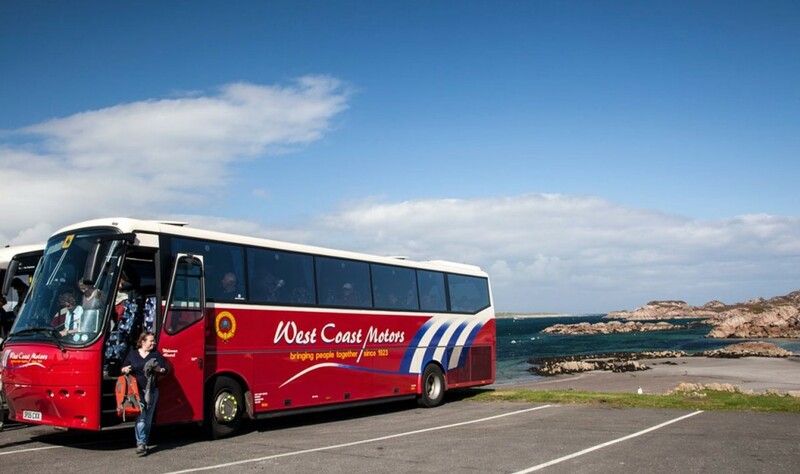 After your Caledonian MacBrayne ferry ride it is a further 35 miles drive from the ferry port at Craignure to Fionnphort ferry terminal where you take the 10 minute ferry crossing over to Iona. If coming from Fort William or Inverness the Lochaline to Fishnish route onto Mull is the most convenient and only takes 15 minutes. For more details and timetables please see the Caledonian MacBrayne website or telephone the local Calmac Office on Tel: 01688 302017. Glasgow and Edinburgh are the most convenient international airports and car hire is available at both. Trains run to Oban from Glasgow Queen Street. For more information and a timetable please see the ScotRail website. Coaches run regularly to Oban from Glasgow Buchanan Street Bus Station. 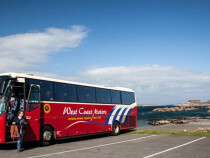 There is also one coach a day in the summer that runs directly from Glasgow International Airport to Oban. For further details please see the Citylink website or call the VisitScotland Tourist Information Centre in Craignure who can book your tickets for you. Tel: 01680 812377. Please note that the Calmac ferry to Iona is for foot-passengers and bicycles; only residents of Iona can take their vehicles onto the island.